Worry steals your strength. 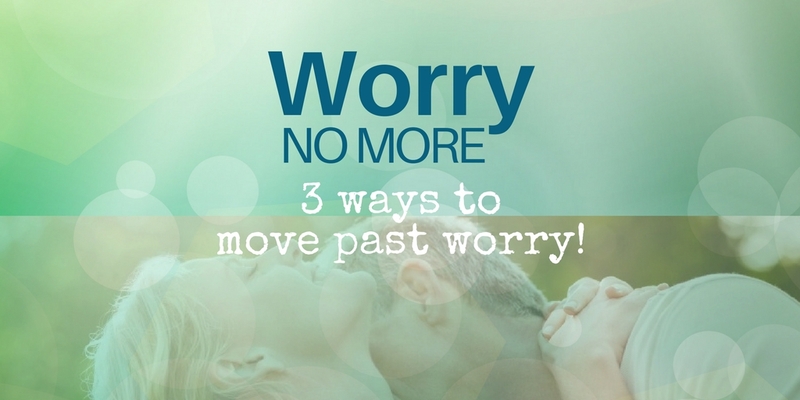 Deal with worry using these 3 ways to move past worry! 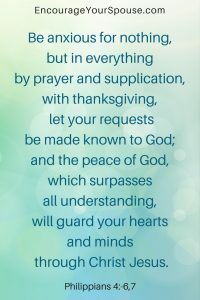 Here’s the Scripture Robert referenced in the video to focus on as you worry no more… Prayer, Thanksgiving, and God’s Peace. If you find it difficult to pray – or it’s been a while (or never) since you’ve prayed together as a couple, take a look at this post. There are two parts of an enduring marriage which you can nurture to worry no more: Love – unconditional and without prerequisite. And Loyalty – steadfast in allegiance, unwavering in devotion. Again – the work is what it takes to get your worry under wraps: Prayer for the future together. 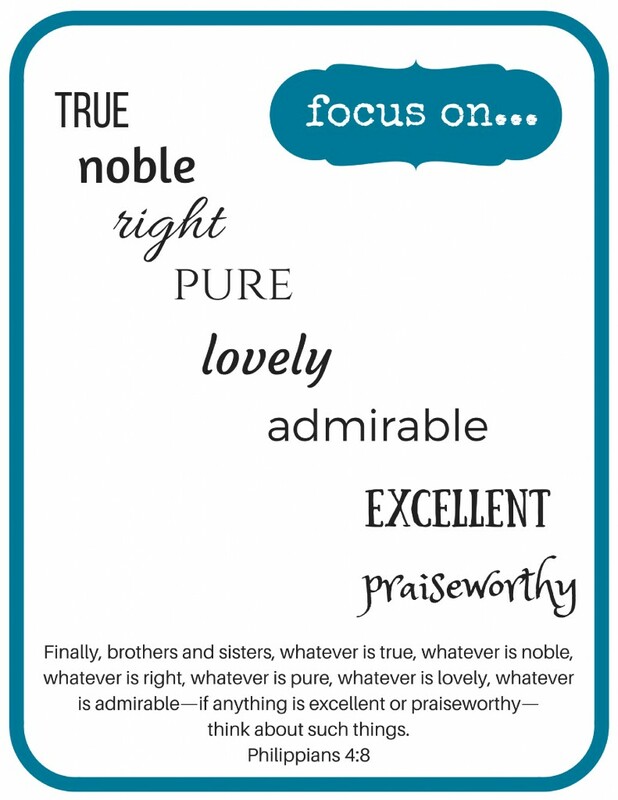 Focus on today; do the best you can with what you have today. Stop replaying what you can’t change from yesterday. 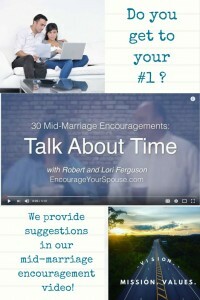 Have you and your spouse found ways to worry no more? Any books you’d recommend on this topic, or posts you’ve read? Dream Team Planning and how to work your plan. 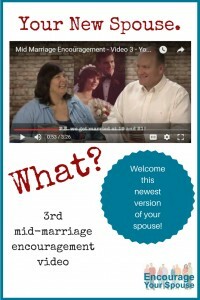 That’s what the 5th mid-marriage encouragement video and this post is about! Sometimes those phrases are excuses. 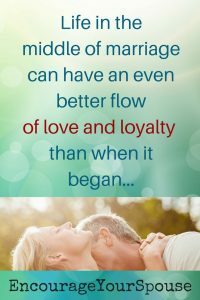 They become reasons why a couple won’t fight for their relationship. In other instances, we hear those phrases when a couple truly doesn’t know where to go next in their relatio nship. They’re defaulting to chasing their own, singular goals. Those two phrases raise the yellow caution flag for us. However. 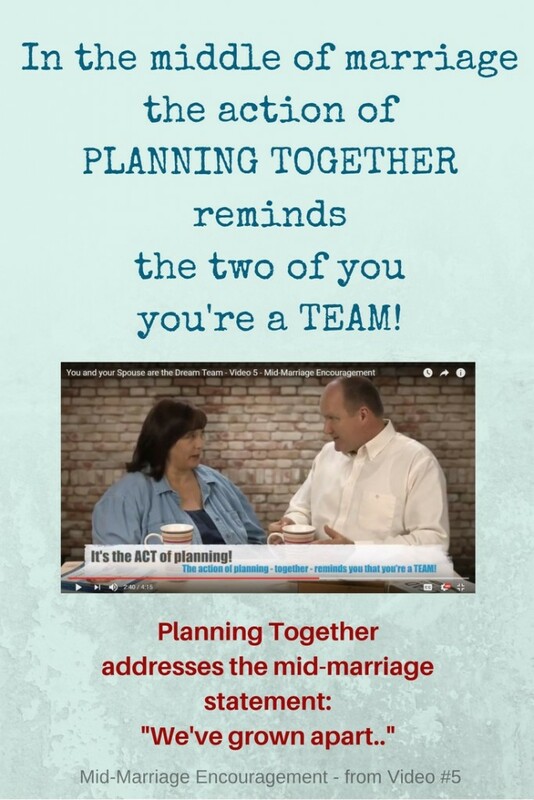 Couples might find it easier to address those two statements than they believe. 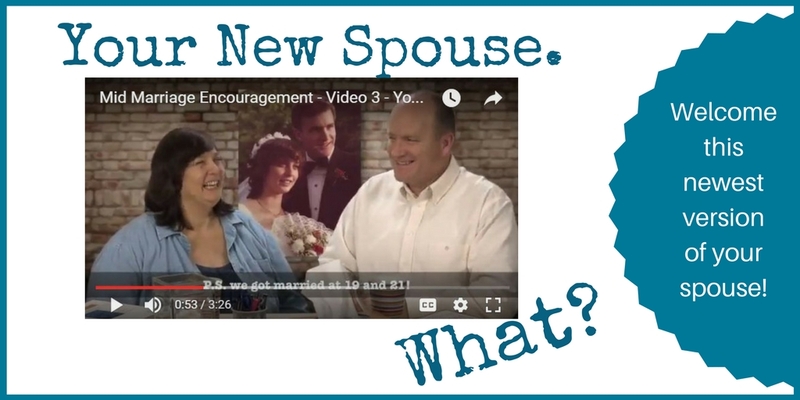 They might be surprised at how simple it can be to grow closer together and feel re-energized by how much more there can be as a husband and wife leading a meaningful life! What’s one idea to handle those two statements? It can be as small as finding an inspiring spot go on your next vacation, instead of the tried and true. the plan might be to serve your fellow humans in a new way (at church, a non-profit, or in your own business. a plan could come from a dream you both had as a young(er) couple… what have you forgotten that you once wanted to experience or do? 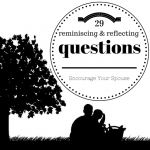 Do some reminiscing and reflecting with THIS resource we’ve developed. 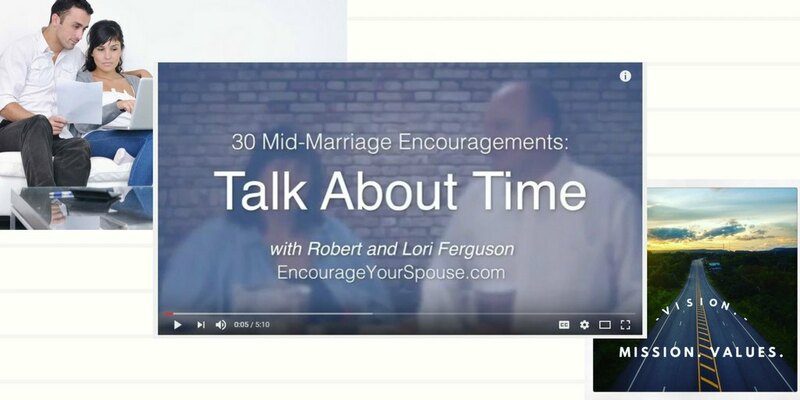 In our 5th Mid-Marriage video we encouraged you to go off-site to plan. We did this twice in our life, and it has had a profound impact. Here’s a book we recommend to shape your planning driven excursion – “48-hour Relationship Retreat“. It’s currently free in digital form if you have a KindleUnlimited account. It’s written by a husband and wife team, and it’ll get you thinking and doing – with a healthy heaping of laughter. 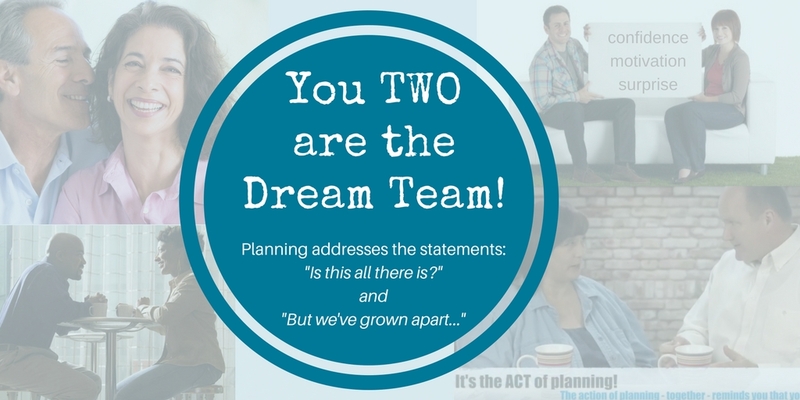 Once you have your plan for the Dream Team… then what? You can’t work as a team without agreeing on a course or direction. 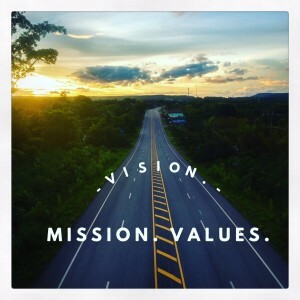 You can use your shared Values as a signpost and rumble strips as you’re deciding. 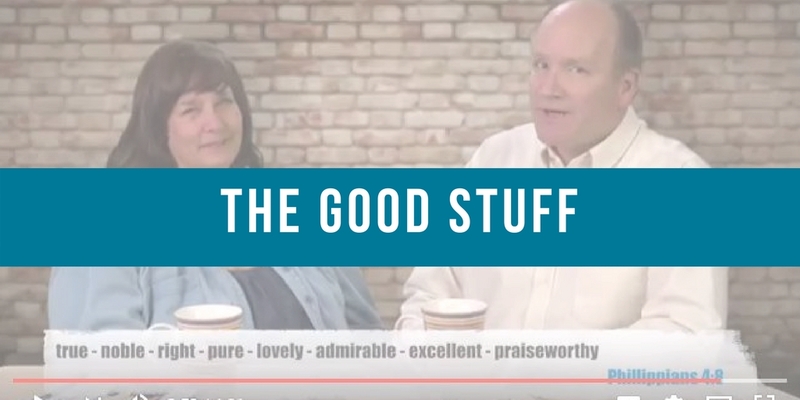 Learn more about your shared Values as a couple here. Step 1 – Make the teamwork… work: DECIDE – you need to agree. UPDATE: Here’s a resource I’ve just found! 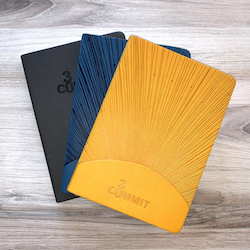 The “Commit30” Journals! If you don’t commit to doing something together – it’ll never happen. 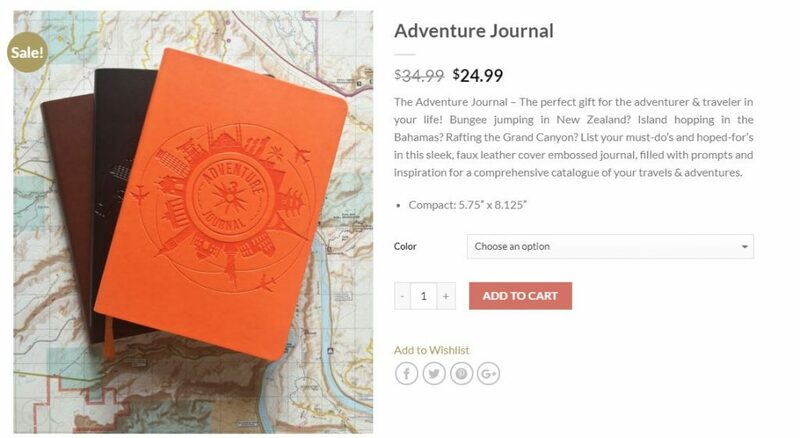 An Adventure Journal seems like the perfect way to explore ideas and COMMIT to something! Too cool. Click to go the page on Commit30 – and scroll till you see the “journal preview” – it lets you see each page of the journal! There are quotes, and ideas and all kinds of fun stuff! Yes. Ths is an affiliate link – should you click and purchase Robert and I will recieve a small commission at no cost to you. We really appreciate your support. Thank you. Make your plan. Even if it’s on-the-fly, or last minute, be strategic and know the steps you need to take. The more often you work as a team, the easier it’ll become. 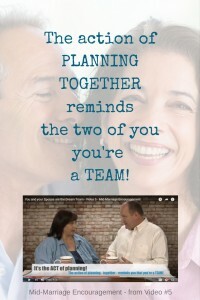 Step 2 – Make the teamwork… work: DEVELOP a plan. Divide and conquer. As the dream team, you need to know your roles, know your strengths and take action toward the goal. Yes, working together is sometimes best, but teamwork is as much about working on one goal separately and using your strengths toward the common purpose. Have you ever done a strengths assessment? Here’s a great tool/assessment – we’ve done this as a family (our adult children and us) and it’s very insightful. Step 3 – Make the teamwork… work: DIVIDE and conquer. Dig in and dig deep – be persistent. 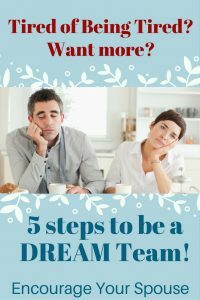 Don’t let the first (or fifteenth) obstacle derail your efforts as the dream team! There will be roadblocks. The way might be slowed by dips or humps. You might need to take a detour. Don’t give up – DIG in. Be stubborn about your goal. Step 4 – Make the teamwork… work: DIG in and be persistent. Step 5 – Make the teamwork… work: DONE! Celebrate! Visit Commit30 to see all the journals available!